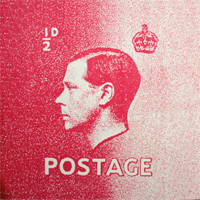 [24 Feb 2012] I have not bought many stamps lately, just accumulated images for web pages, notably the GBDefs page, although I have been thinking of doing something with GB definitives, particularly the Machins. I called into Stampex this week with nothing particular in mind and the first thing to catch my eye was a packet of discounted Lighthouse definitive pages on the Duncannon stand, so I bought those for £10. The Lighthouse albums are too fat for a definitive collection and wildly expensive, so I trawled the dealers for a suitable springback album and found a Stanley Gibbons New Age with an almost compatible slip case for £5. I bought a few stamps to make a start (machin pre-decimals for £1.50 and a couple of presentation packs at face value). At the end I went back to the Duncannon stand on my way out to price blank sheets, as there will be some larger definitives, but they are only sold in boxes of 50, so I just bought some mounts. At home, I found I already had a box of blank lighthouse sheets (I have no idea why) so that's £24 saved. I have spent a couple of days deciding what to collect. I will apply my usual simplistic approach to stamps: ignore perforations, watermarks, gum, phosphor and any other invisible differences; ignore shades and errors. For the Machins, this leads me to the GBMachins site, that contains a terrific simplified album which will provide the organisation for the Machins. For the pre-decimal stamps, I will return to an article I have cited before, David Wright's The colours that kept on running from the September 2009 issue of Stamp Magazine. This analysed the colours of definitives with values from ½d to 1 shilling from 1840 until decimalisation. I will organise mine in the same way - all the ½ds then all the 1 penny stamps and so on. Capping the exercise at 1/- will help to keep the cost to sensible limits. I will also continue my quest for stamps with my initials (NB). The 1ds have already been collected and so I will start by reassembling those. I will report progress on these and other new pages in a format which has yet to be determined. À propos de rien, the V&A shop is selling prints and cards based on stamp designs by Annie Little. I might try something similar using anthotypes. Prices and most of the data is from a 2007 edition of SG GB Concise (see note 6). [5Mar12] Initial research complete. Next build a wants list in a spreadsheet, prioritise and start looking. [21Mar12] The spreadsheet is now complete. [9Apr12] I also have a copy of British Stamp Market Values 2012, available from Amazon. This claims to provide realistic prices for all GB stamps. I'll add them to the pre-decimal page. As this is published by Stamp Magazine and 'exclusive to WH Smith', I'll refer to these entries as SM. [22Apr12] I've had a bit of a rethink on the reporting pages. I started with pre-decimal and decimal research pages where all the definitives are listed, together with anything that crops up on ebay. Then came the acquisitions page to show successes and the occasional failures. In the last couple of days I have added the diary page and copied over all the ebay data from pre-decimal. When the diary is complete, I'll prune the research pages and probably drop acquisitions. [1Mar12] I may have to include the pre-EII commemoratives as they are so attractive. I will log them in the notes above, acquire them and will then have to design pages on which to use them. Advice from Jim, Keijo. [2Mar12] Further thought on commems, I am considering a page with the definitives in sequence at the top and the commems underneath. The latter would end around 1963 when the colour conventions were abandoned and the seeds were sewn for today's commemorative nonsense. I will acquire the defs first. I have today asked to be re-added to the Bexley PS GB stamp box list - I cancelled it a few months ago thinking that I had finished with GB. Here's a spreadsheet. I think my searches will be centred on ebay for NBs, stamp fairs for machins and Bexley boxes for late Vic to G6. Royal National Hotel, Bedford Way, WC1H 0DG. Tube, Russel Square. Philatex: autumn date 'to be confirmed' Lawrence Hall, the venue for years, has been sold and so Philatex has been discontinued. GBMachins, including the simplified album and timelines. CollectGBStamps has great yearly summaries. The Machin Collectors Club, I joined these last year, but found their approach to detailed for my purposes. The Modern British Philatelic Circle, an elegant web site. Their club year begins in June - it might be worth trying. This page on the gbmachins site links to most of the pages of a July 2007 article on Machins by my favourite philatelist, James Mackay. Main page - first issues - GBDefs - pre-decimal - decimal - diary - top . .